Organisations looking at enterprise resource planning (ERP) and/or customer relationship management (CRM) software need a partner they can trust. 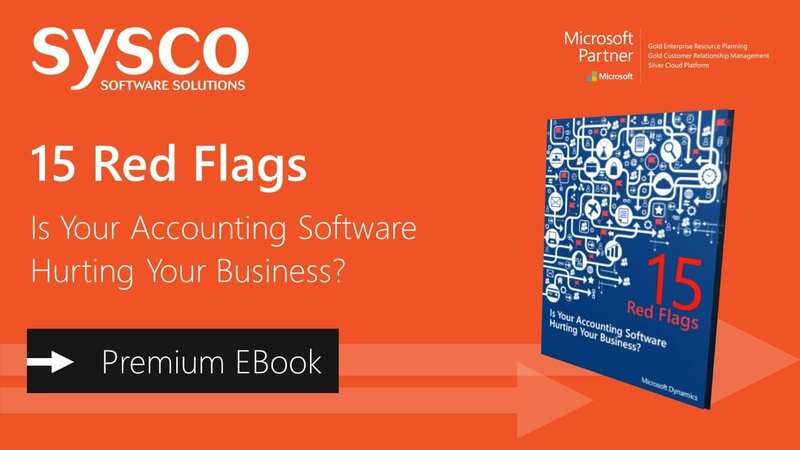 Microsoft partners that follow a structured methodology to sell, deliver, and optimise Microsoft Dynamics solutions can reduce their own cost and risk, focus on core competencies, and ultimately increase profits and customer satisfaction. Microsoft has introduced a structured implementation methodology called Sure Step to help partners address some of these challenges. Sysco Software implements the Microsoft Dynamics Sure Step Methodology, enabling us to deliver a successful Microsoft Dynamics implementation each and every time. To help partners take advantage of the latest best practices, new tools developed by Microsoft Dynamics product teams, and changes in Microsoft Dynamics software. To help partners achieve high customer satisfaction, increase channel productivity, and improve profits. Sure Step can help partners increase successful implementations, decrease employee ramp-up time, and improve revenue by closing more customer deals. Partners who fully adopt and embrace Sure Step will be better able to perform customer implementations on time, on budget, and on spec. What Is Microsoft Dynamics Sure Step? 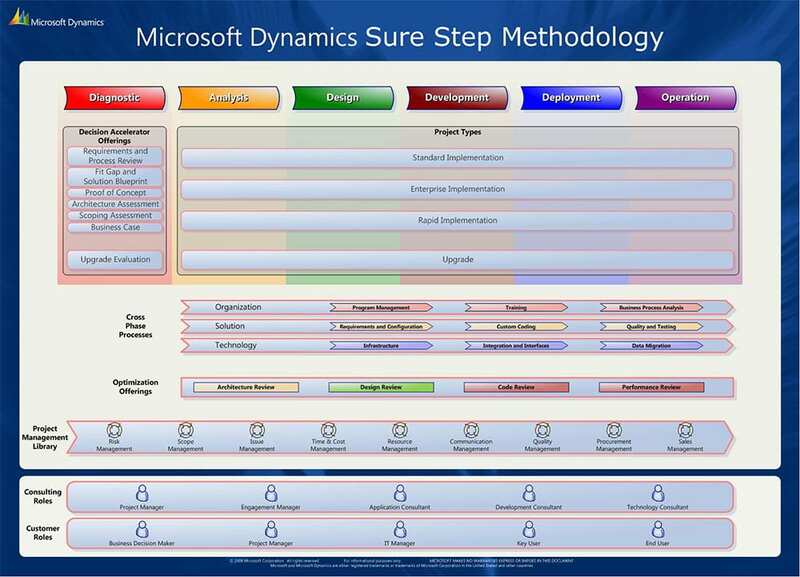 The Microsoft Dynamics Sure Step Methodology is a comprehensive customer engagement methodology describing the processes and disciplines necessary to implement Microsoft Dynamics products such as Microsoft Dynamics AX, NAV and CRM. Because implementations have many similarities across these products, Sure Step has been structured as a general methodology with a product-specific layer for each product. The general content consists primarily of prescriptive phase-by-phase and activity-by-activity descriptions for completing an implementation, and also includes information on the Project Management discipline. The product-specific content is represented by tools and templates as well as hyperlinks to materials that can be found outside of the tool. A consistent methodology, project management tools and advice, and field-tested best practices – all within user-friendly tools – that enables Sysco to more efficiently deploy, migrate to, configure, and upgrade Microsoft Dynamics solutions. Drives productivity by providing a consistent approach and a standard set of tools and templates that help ensure customers’ projects are completed efficiently, adding immediate business value, which promotes high customer satisfaction. with independent software vendors (ISVs) who provide third-party solutions or expertise. Assurance that we are using the same approach as others involved in the project to drive toward a successful customer implementation. To discuss your Microsoft Dynamics deployment or upgrade contact us today.